The bevel-gear twin cylinders with a 90° V configuration used in the Ducati 750 GT, long known as an “L-twin” configuration, have a precise date of birth: March 20, 1970. British historian Ian Faloon relates that Fabio Taglioni drew the first sketch of what is perhaps his most famous and best loved engine, which over the years was to acquire the affectionate name of “pompone” (“big pump”), on the last day of winter 1970. Taglioni’s method was direct, logical, and practical. He envisioned the bike as an essential sports machine. It was a twin cylinder (really, a motorcycle engine’s ideal structure) arranged longitudinally and in a 90å¡ V configuration. As far as balance went, this was also the best choice. The distribution used the same single overhead camshaft driven by bevel-gear as the single-cylinders, while the capacity of 750 cc was obtained with a bore and stroke of 76 x 75 mm. The result: a very personal sort of motorbike in which the engine played the central role, even stylistically. 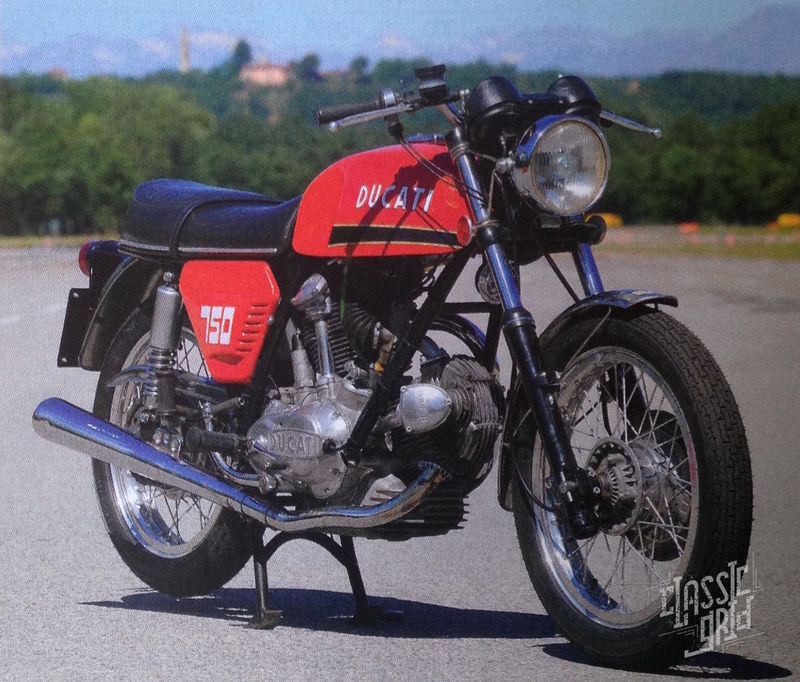 Starting from the first prototype, the Ducati 750 GT saw the light in June 1971. 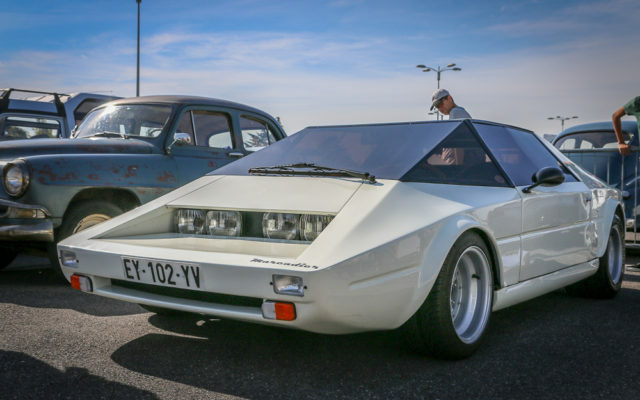 There were though several differences between the prototype and the final bike which can be resumed with the “GranTurismo” contained in the name: this reveals immediately that it was no sports bike, but more a bike made for long distances touring. From the words of one of the first journalist to test ride it “from the angry bike that we saw with the prototype we have the impression that Ducati wanted to create a solid machine that could be stressed while still delivering brilliant performances”. The Ducati 750 GT presented in this page is from 1973 and it’s owned by Franco Guidi from Garfagnana, Tuscany. Sources : Ducati.com and Motociclismo D’epoca, Pictures from Motociclismo D’Epoca, October 2011.